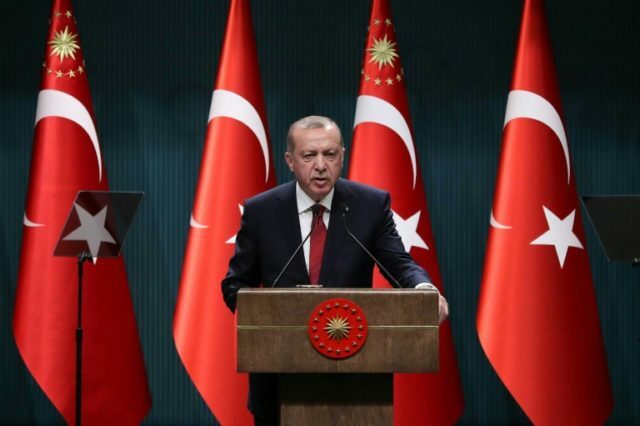 Turkish President Recep Tayyip Erdoğan said on Tuesday he is planning to hold a campaign rally in a European city next month ahead of the June elections, despite rules in some countries banning Turkish politicians from campaigning abroad. Erdoğan is currently preparing for snap parliamentary and presidential elections in June to allow him to implement reforms that will greatly increase his executive authority. “God willing, in May, we will hold our first meeting in a closed sports hall in a European country. All preparations are complete,” Erdoğan said in a speech in front of members of his ruling Justice and Development Party (AKP). Such campaigning is likely to be held in Germany, where around three million Turks live and maintain the right to vote. There are also smaller communities living in Austria and the Netherlands, many of whom migrated following the fall of the Ottoman Empire. “Our view is clear. In the three-month period before elections in a foreign country, no election campaigning will take place in Germany,” German Foreign Minister Heiko Maas told reporters this week. Austrian Chancellor Sebastian Kurz, whose conservative coalition has campaigned against Turkey joining the European Union, has also signaled Erdoğan would be prevented from “trying to exploit” Europe’s Turkish communities. Erdogan has already announced plans to campaign in Sarajevo, the capital city of Bosnia and Herzegovina. The pro-government Turkish newspaper Yeni Safak reported that around 10,000 people will be brought from European cities to the rally, while local Turks are also expected to attend. “After European countries’ anti-democratic ban, the planned demonstration in Sarajevo will be Erdogan’s first showing abroad as part of his election campaign and this situation makes the Sarajevo demonstration more important,” Yeni Safak wrote in an editorial. The 5.5 million Turkish expatriates living overseas were seen as a crucial demographic in last year’s referendum used to cement Erdogan’s authority, which he won by a narrow margin with 51.4 percent voting in favor. Erdoğan is now widely expected to win the upcoming elections, currently polling at around 55.6, which would secure him a comfortable victory. Under his new constitutional reforms, Erdoğan will have the power to dissolve parliament, issue executive decrees and declare a national state of emergency. It will also give him more power to appoint his vice president, ministers, senior judges, and other high-level officials.